A shipping milestone, a new distributor for South America, and game updates. We are pleased to announce that we have shipped our three thousandth Omni! 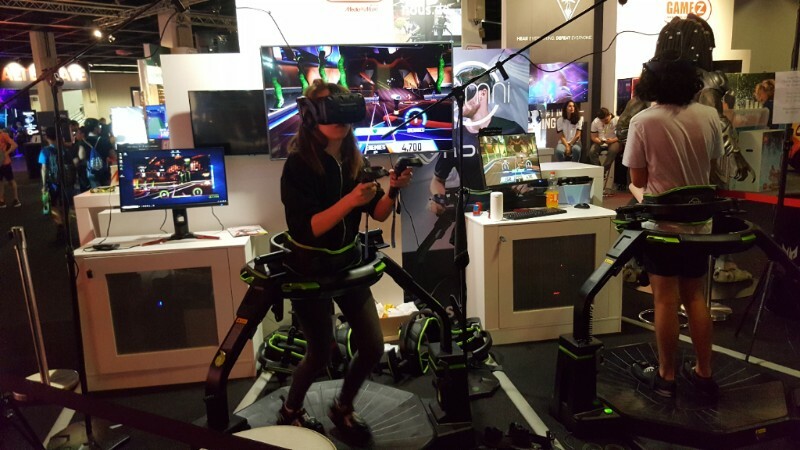 The Virtuix Omni is now featured in more than 500 commercial locations on five continents, making it the most widely distributed VR hardware in the world other than head-mounted displays. Over 100,000 people have played our flagship game title, Omni Arena. In total, our users have spent more than 2.5 million minutes playing games on Omniverse, our proprietary content platform. Our thanks to all of our customers, developers, partners, and investors who helped us achieve this milestone! 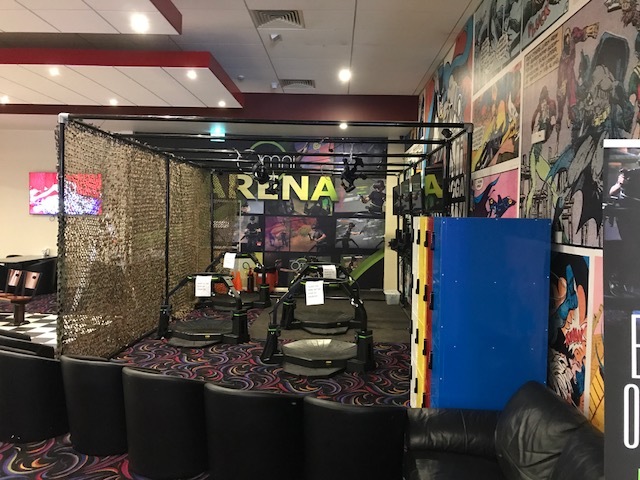 We signed a distribution agreement for all countries in South America with Global Amusements Inc., a leading distributor of arcade games and simulators to the location-based entertainment industry. 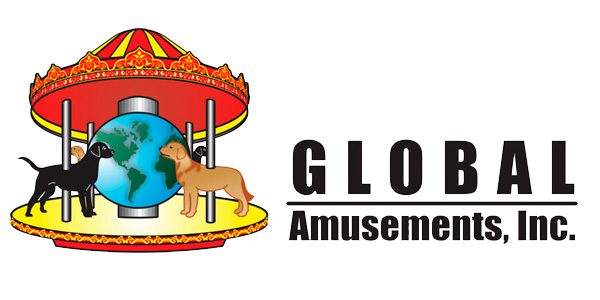 Global Amusements, headquartered in Florida with offices in Colombia, has twenty years of experience installing and supporting entertainment equipment in Latin America. We are excited to welcome them to the Omni family. If you are located in South America and would like to purchase an Omni, contact Luz Prada of Global Amusements at luz@globalamusements.com. You can visit their website here. 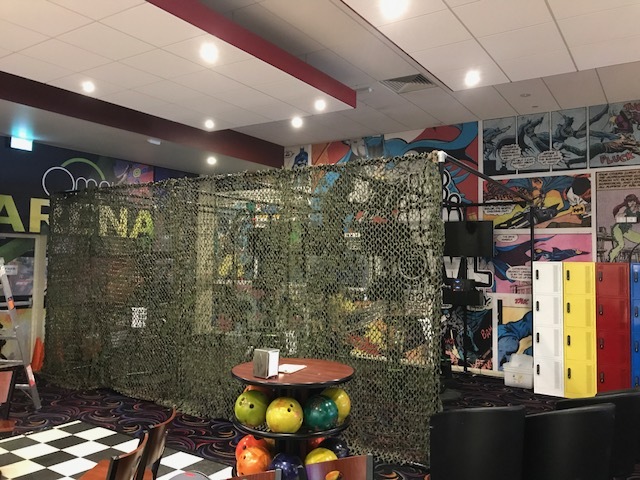 We released an update this month to VRZ that fixes the problem of players at local arcades getting paired with random worldwide players in multiplayer matches. The updated version of VRZ also replaces the player avatar in a multiplayer game with a human figure. We are also close to releasing an update to Primordian that includes new levels and brings back the functionality of changing weapons with the controller’s grip button. The Omni is making headway in South America. 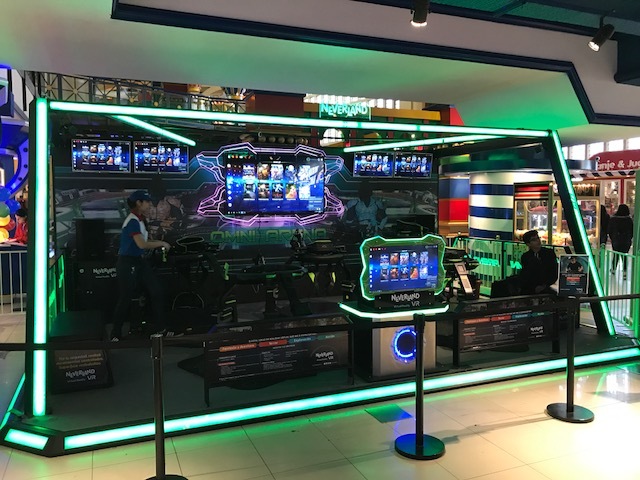 The largest FEC operator in Argentina, Neverland, now offers a 5-Omni setup provided by our global distributor UNIS at its flagship location in Buenos Aires. The Omni has debuted in Bangladesh. 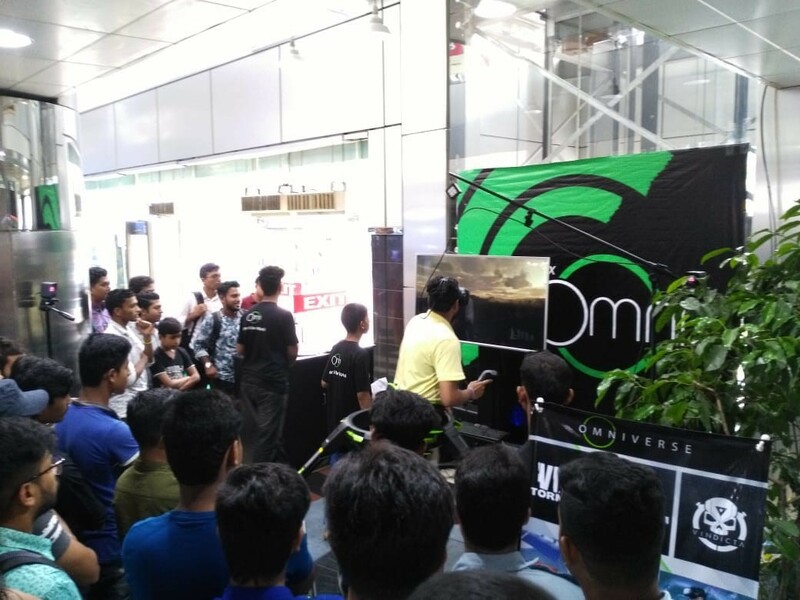 Our local distributor, Omni Bangladesh, exhibited the Omni at the Bashundhara shopping mall in Dhaka from July 23 to August 21, attracting a large daily crowd of players and spectators. 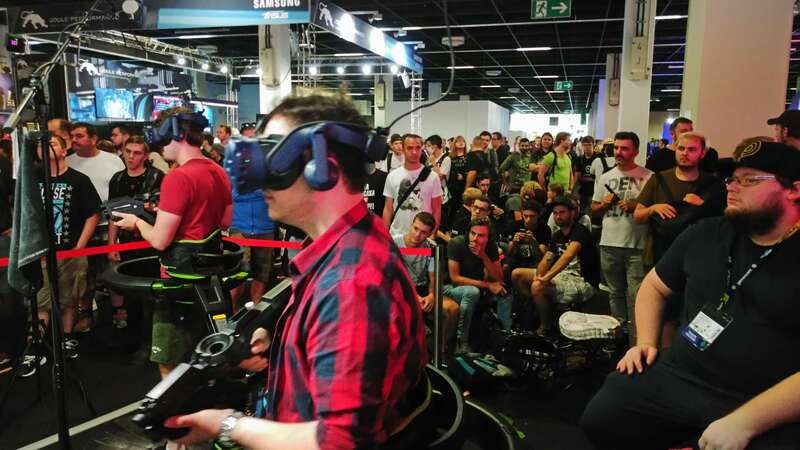 VR Café Boost VR in Gothenburg, Sweden will soon open its doors and offer gameplay on two Omni systems, supplied by our Scandinavian distributor C&T International. 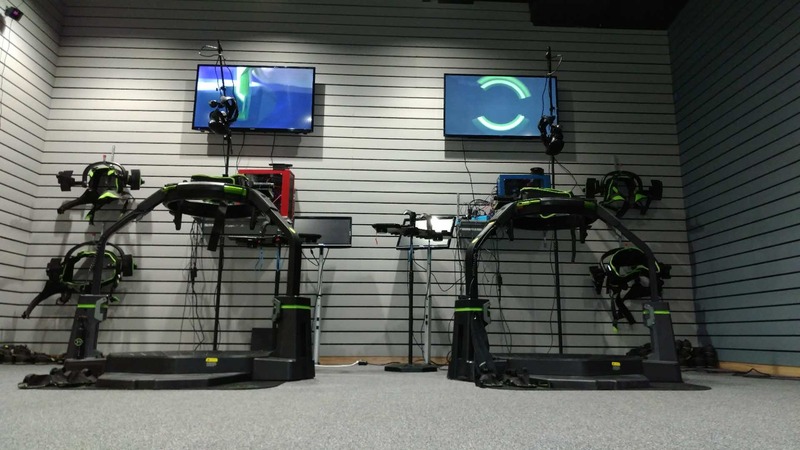 If you are opening a new Omni location soon, or if you are adding more Omnis to an existing venue, please send pictures and details to info@virtuix.com, and we’ll include you in our next newsletter! PREVIOUSLaunch of Red October, new Omni game assets and accessories, and events from the Omni world.